It’s easy for a student to lose focus and nobody knows it better than maths teachers, right? 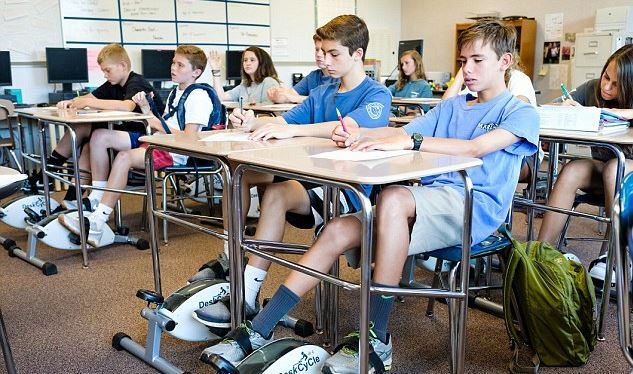 That’s why Bethany Lambert, who teaches maths at Martin Middle School in Raleigh, North Carolina, came up with a new and creative way to stop her pupils from fidgeting. 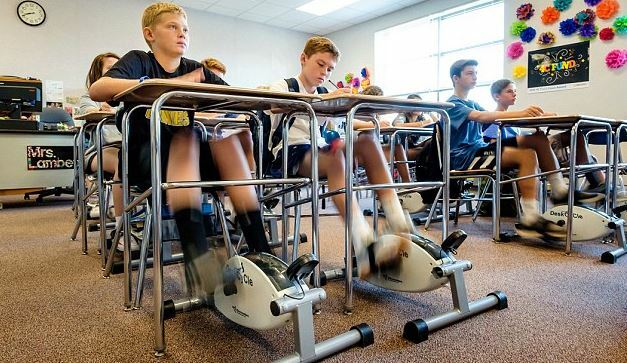 She installed bike pedals under each one of her students’ desks in a very unusual experiment. Lambert sees it as a way for the kids to channel their excessive energy so they can focus better during the lessons. And it seems to be working! “As soon as we got them the kids loved them straight away. A lot of students have trouble focusing in class – it might be the end of the day and they’re tired, or they’re lethargic from not enough physical activity, and some have ADD/ADHD and find it hard to concentrate. Before, they would drum on desks, touch other students, just generally fidget – but they don’t do that anymore,” says Lambert who has been a teacher for seven years. Since installing the pedals, the grades have been much better. So the idea seems to be working. Cycling really is a beautiful thing… Lambert even got the parents on board because they can see their kids being excited and enjoying the math classes, which didn’t really happen beforehand. 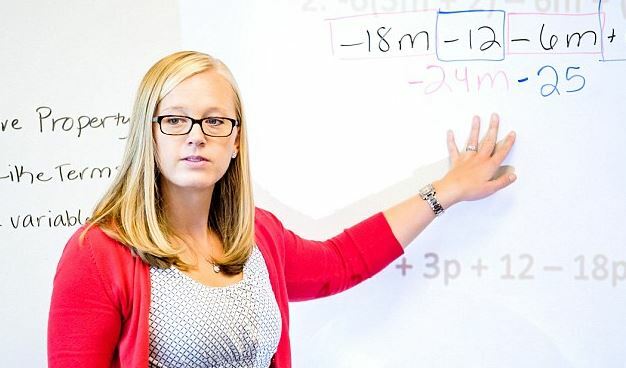 Bethany Lambert teaches maths at Martin Middle School in Raleigh, North Carolina. “At first, people want to know if students find it distracting as they’re not used to it – but actually it has the opposite effect. The kids are no longer picking each other, fidgeting, walking around and exploring – they get their energy out on the bike and get their work done. The world is changing, and kids need this extra stimulation. I’ll definitely be keeping them in my classroom for good!”, said Lambert in an interview for DailyMail. The only way we can think of to improve her brilliant idea is for the pedals to start producing some electricity! How to Be the Best Cycling Parent?